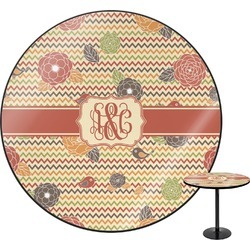 This a layered design with chevron and flowers in rich fall colors. The background has chevron, while the foreground has simple, yet elegant flowers and birds. We thinks it creates an absolutely stunning design. 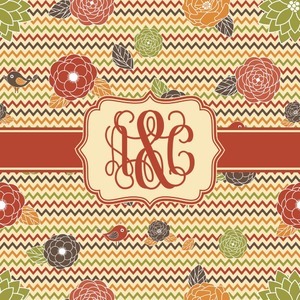 We chose a classic ribbon, along with a decorative rectangular label and an interlocking monogram for personalization.